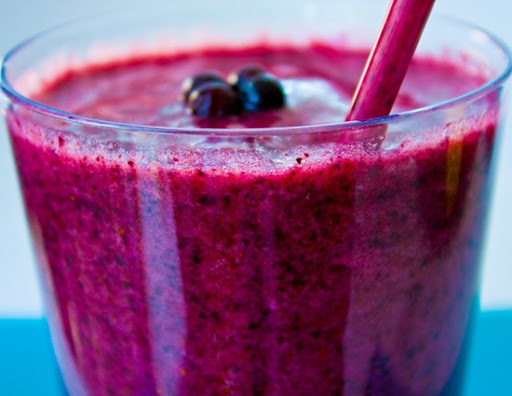 Wild Blueberry Smoothie: AM Blend. 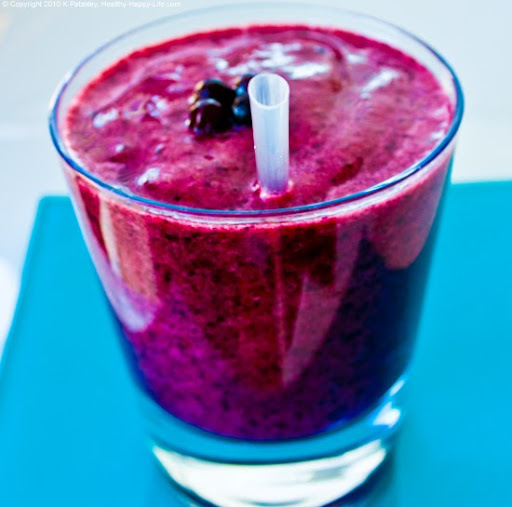 Banish "the groggies" with my Wild Blueberry Kick-Start Smoothie! It's rich in antioxidants, fiber, electrolytes and high energy carbohydrates. Plus the stimulating ginger and cayenne will give your senses a serious wake-up call. Need Some AM Energy? They do... As I was watching the crazy long match between Isner and Mahut yesterday (to be concluded today) I was inspired to re-post this high energy AM smoothie recipe. If I could only serve a nice frosty tall glass of this bevie to each of those amazing Wimbledon tennis players. Good luck guys! Longest Tennis Match Ever Fact: "Isner vs. Mahut's 10hr match is longer than watching the movie "Titanic" three times in a row! ..so far!" Why does this smoothie banish the groggies? Banana is high in potassium and fiber. And the fruit sugar will keep your blood sugar up. Ginger is spicy, warming and eases a queasy stomach. Cayenne is stimulating and inspires circulation. A bold dose of cayenne will wake up your taste buds and senses. Lemon Juice is high in vitamin C and has a vibrant astringent quality. Wild Blueberries are high in antioxidants and fiber. Coconut Water Ice Cubes are high in hydrating electrolytes. Smoothies are provide a nutrient-dense form of hydration! 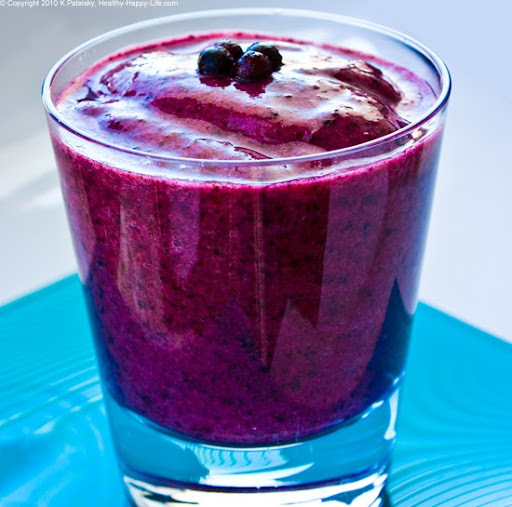 So CLICK HERE to get my Wild Blueberry Kickstart Smoothie Recipe!